Even the relatively privileged can’t escape the effects of last week’s executive order. 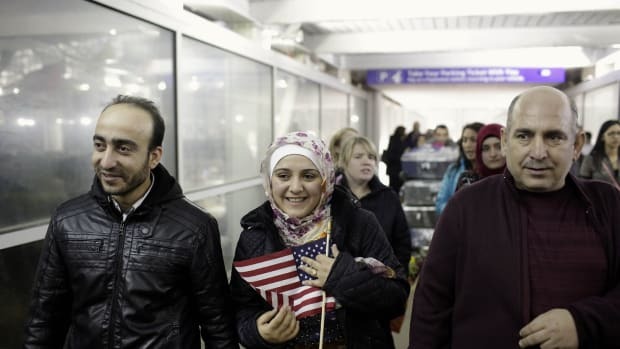 Mariela Shaker is one of the most high-profile Syrian refugees in America. 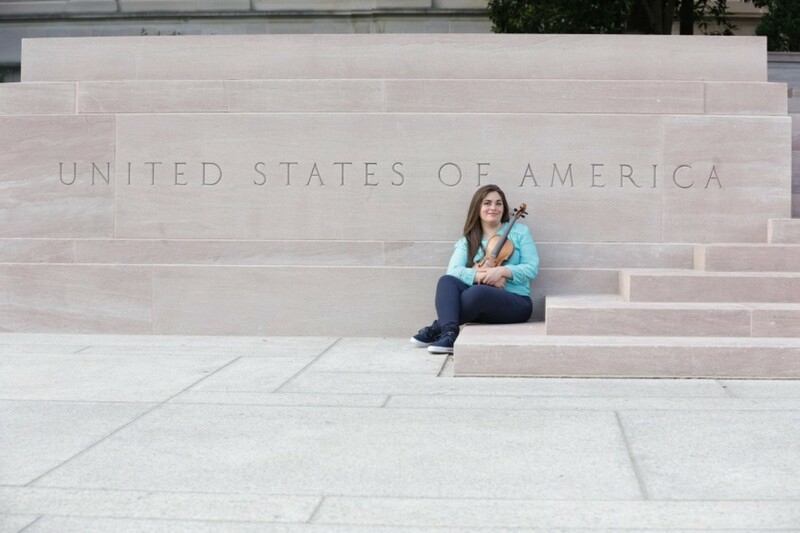 At 26, she has already played a violin recital at New York City&apos;s John F. Kennedy Center for the Performing Arts; been profiled by BuzzFeed, the Chicago Tribune, and Woman&apos;s Day; and been named a Champion of Change for World Refugees by President Barack Obama, in a ceremony at the White House. She&apos;s now studying for her master&apos;s at DePaul University in Chicago. 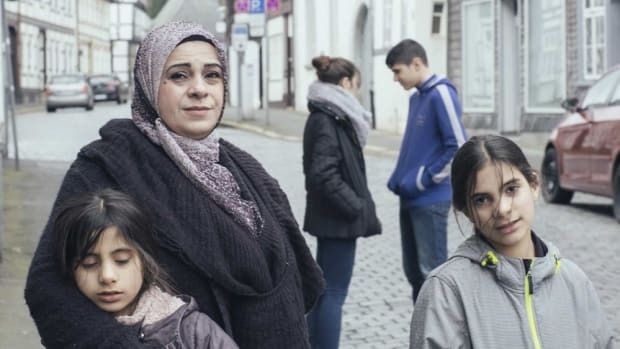 Shaker grew up in Aleppo and her parents and brother are still there, living without electricity or running water as a result of the civil war that&apos;s raged in Syria since 2011. 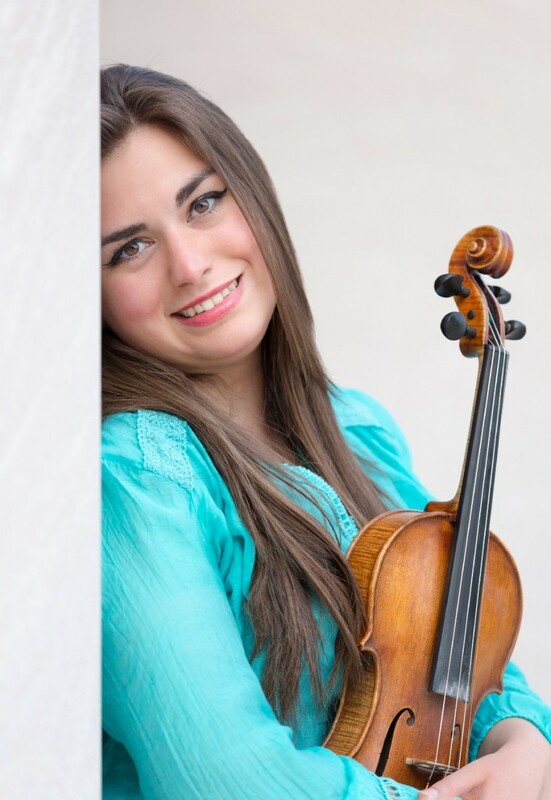 But in 2013, when she was 23, Shaker (and her violin) made it out, heading to Monmouth College in Illinois on a scholarship to study music performance. In 2014, she was granted asylum in the United States and received a green card. She will not be with her family again in the foreseeable future, although she tries to call them every day on their landline phone. Shaker has connections that few refugees could dream of — she was recently invited to perform in London by Cate Blanchett. Yet even she can&apos;t escape the direct effects of the executive order that President Donald Trump signed last week, banning people from Iran, Iraq, Libya, Somalia, Syria, Sudan, and Yemen from visiting America. 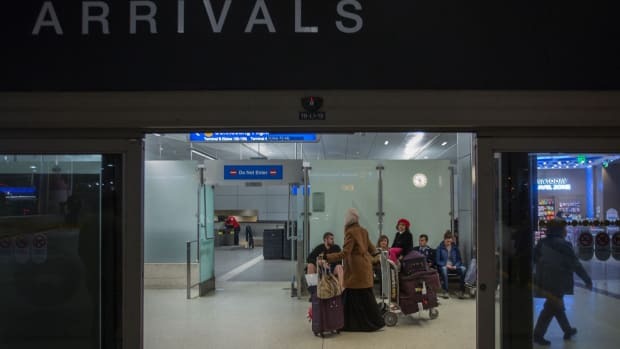 Next week, her fiancé, a Syrian national and documented resident of the United Kingdom, was supposed to interview for doctoral programs in the U.S. His visa application has been denied. 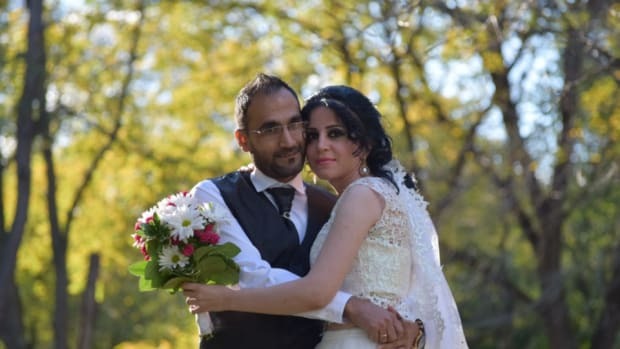 For now, it&apos;s impossible to know whether Shaker&apos;s fiancé will be able to come to the U.S. as the couple planned. Below, our conversation with Shaker. Tell me what&apos;s happening with your fiancé. He was about to come here to audition for doctorate of music programs. He got invitations from prestigious universities and conservatories here. He paid the application fee and all of that. Two or three days before the appointment, they sent an email: Don’t come. No visa and no interview. 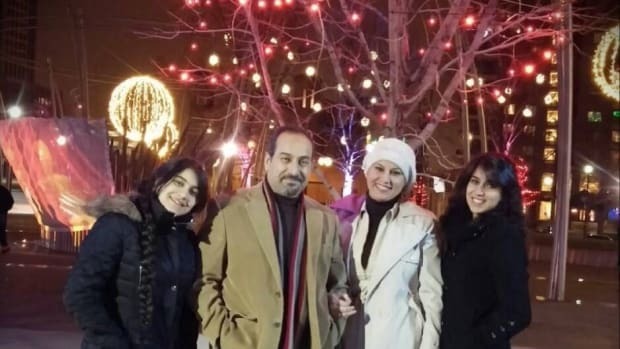 He is Syrian, but when he was 15, he won the educational award at the London International Piano Competition and then he moved to London, to study there. He will be a [U.K.] citizen, officially, in two months, but even people who are already British are not allowed to come here if they were born in one of these countries, so it doesn&apos;t help. He&apos;s a wonderful pianist. I find it very, very sad that he will not be allowed to come here even to visit or to do the auditions. He&apos;s Christian. I hate to say that, but the executive order — I read it — was saying that they are going to give priority to people from minority religions, which is a hint about Christians. I don&apos;t know if it&apos;s true or not. I mean, we are proud to be Christians. Christianity told us to love and to give to everyone who is in need, not to hate. Such an order, it only promotes hatred and antagonism and discrimination. This is not who we are. It&apos;s a very hard situation. We have no hope now to meet or be able to be together. Do you have travel plans soon too? I have a performance and presentation at the University of California–Riverside. I&apos;m traveling on Monday. My performance is going to be on Tuesday. Are you nervous about flying to California? A little bit! I don&apos;t know if the order is going to be problem, even flying domestically. I hope not. People are saying really different things. On the first day, we heard that green-card holders are not allowed to enter. Later on, that changed. It&apos;s such a mystery. In the last two years, I have been traveling frequently to perform. I went to Geneva, to the Netherlands, to London. I find it really great to be able to represent the U.S. and what I have learned here, and to be the voice of Syrians. But now — I still have four months until I graduate. What if they detain me at the airport? We all know that sometimes it just depends on the officer, if he wants to give you a hard time or not. I&apos;m scared to travel. What are your and your fiancé&apos;s plans now? I don&apos;t know. It was very shocking news. It&apos;s hard now to make any quick decisions because it&apos;s going to affect our lives entirely, so I think the best thing is just to wait, hoping for the best. I believe that everything happens for a reason. I don&apos;t know what to say. What do you think of the travel and refugee ban overall? I feel that the situation here in the U.S., in terms of refugees, is way different from Europe. We don&apos;t have that massive migration that Europe has. People who are coming here have been extremely vetted. 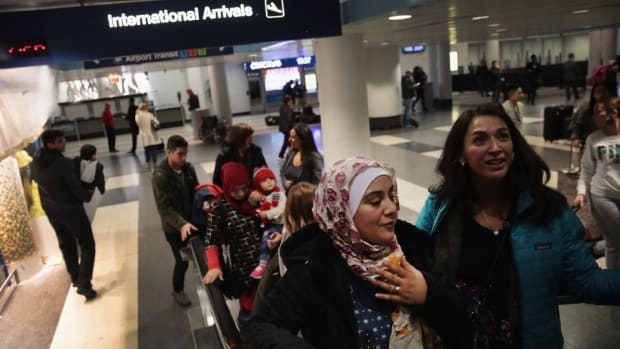 They have been waiting for months and sometimes years, doing a lot of interviews, and they are coming with respected agencies such as the United Nations Refugee Agency. Also, they are barely receiving any financial help here. Even their flight ticket they have to pay back. This is not a bad thing because it encourages people to come who are really serious about it, who are going to be successful and hardworking. These people are not a burden. I love the U.S. so much. I am so proud to call this place my home and I got to meet a lot of wonderful people who inspired me in so many ways. I would like for these people to be safe and very well protected. Security is very important. However, we should never give up or forget our unity, the dignity and the diversity of this country, because this is the identity of America. We cannot give it up.